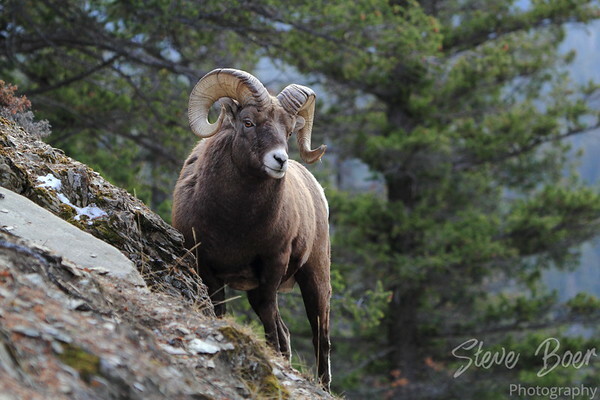 Random number photo 3036 is a Bighorn sheep on the side of a mountain. These are probably the most common animal we see in Jasper National Park, so after a while you need to find different compositions to keep things interesting. This is one that I had never gotten before.